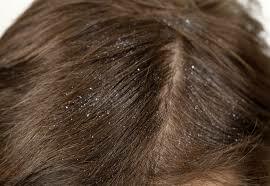 Dandruff is an extremely common skin condition that cause grey or white fakes of skin to stick to the scalp and hair. You usually notice those flakes when they fall on to your shoulders. When you have dandruff, it is common to feel your scalp become very dry and itchy. While dandruff is not harmful or contagious, it is important to know the causes of dandruff to treat it properly. While dealing with dandruff is never easy, you can devise a better treatment plan when you have a better understanding of what causes it in the first place. Here are some possible causes. Many people think that dry skin is the reason behind dandruff, but that is usually not the case. You get dandruff when there is an overgrowth of yeast called pityrosporum orbiculare. This naturally occurring yeast feeds on skin oils, which is why people with oily scalp are at a greater risk of getting dandruff. Some people can easily get dandruff because the oil they make is more suitable for the yeast to grow. Using OTC dandruff shampoos may help, especially when you are dealing with a mild case of dandruff. What causes dandruff? In some cases, dandruff indicates that you are under severe stress. Chronic stress can aggravate any skin condition, and dandruff is not an exception here. It happens because stress can weaken your immune system and your body finds it difficult to deal with dandruff flare-ups. Some experts say that stress can cause an itch-scratch cycle to start, which means that the more you scratch your scalp, the itchier it becomes. You should make use of relaxation techniques to relieve stress. A daily walk, yoga, and breathing exercises may help relieve stress and control dandruff at the same time. Excessive shampooing is certainly bad for your hair, but the same is the case when you do not shampoo or rinse your hair enough. Not shampooing enough would lead to a buildup of oils in your scalp that provides a perfect environment for fungus to grow. Therefore, it makes sense to wash your hair frequently to reduce the oils and control dandruff. Choose shampoos with tea tree oil because it has antifungal and antibacterial properties. Not eating the right stuff can aggravate your skin conditions and affect your overall health as well. Experts believe that certain foods can cause a flare-up. For instance, you should change your diet if it includes saturated and trans fats because they can activate your sebaceous glands and produce more oil. Instead, you should be eating more of nuts, avocados, safflower oil, and olives. Your symptoms may become worse when there is too little vitamin B complex in your diet. Eat rice, oatmeal, bananas, eggs, and other foods that contain B-vitamins to control dandruff. You can worsen your dandruff symptoms by using certain oils or pomade. Yeast requires lipids to survive and these products may provide them exactly that to grow. Therefore, it is important to cut back on styling gels, hair sprays, and mousses to control your dandruff symptoms. If you have overly dry skin, you may also end up getting dandruff. Winter cold air coupled with overheated rooms is what causes dandruff in many cases. If you have dry skin, you are likely to have smaller flakes of dandruff and these flakes are not going to be oily either. People with eczema, psoriasis, and other skin conditions are more prone to getting dandruff. Some studies show that people with Parkinson's disease or other neurological illnesses may also get seborrheic dermatitis and dandruff. This fungus is naturally found on your scalp and causes no problem so long as it does not grow out of control. It relies on the oils in your scalp to grow. Overgrowth can make your scalp to become irritated and produce extra skin cells. These skin cells eventually die and fall off as dandruff. You have used anti-dandruff shampoos for a month without noticing any improvement. Your scalp is very itchy and affects your quality of life. Your scalp is extremely red or swollen. You have a compromised immune system due to HIV, chemotherapy, or certain medications. Your healthcare provider will examine your scalp carefully to identify the underlying cause and then suggest a treatment plan. They may also prescribe stronger treatments, such as medications that include salicylic acid or coconut oil. They may also recommend a steroid lotion or shampoo to control your dandruff. People who are prone to dandruff just cannot do anything to cure it. They can treat it though, but the problem will continue to recur. However, it is better to take preemptive measures rather than waiting until those flakes appear again. For instance, you can reduce the number and severity of flare-ups by limiting your intake of food high in saturated and trans fat. You should include veggies and fruits in your diet, especially the ones rich in B-vitamins and zinc. It is also a good idea to include a probiotic in your diet to increase the number of healthy bacteria in your gut and strengthen your immune system – it will also help prevent an overgrowth of yeast.